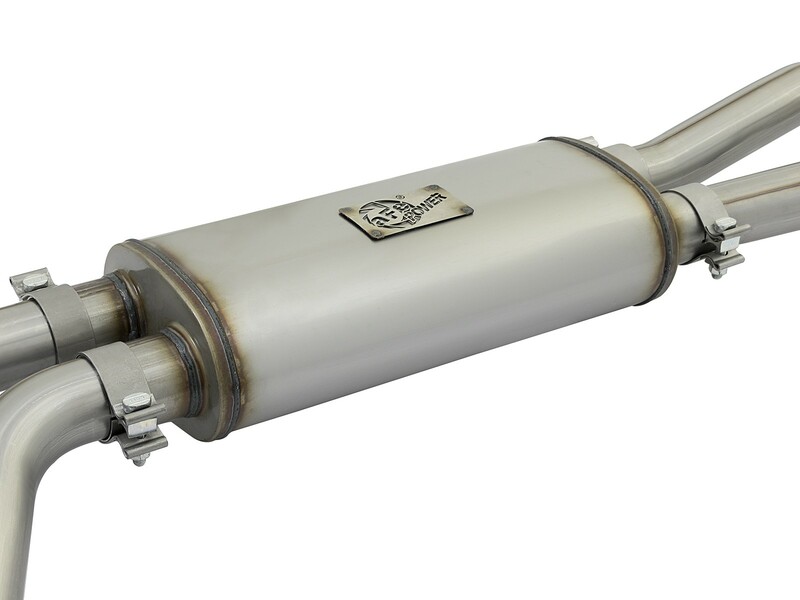 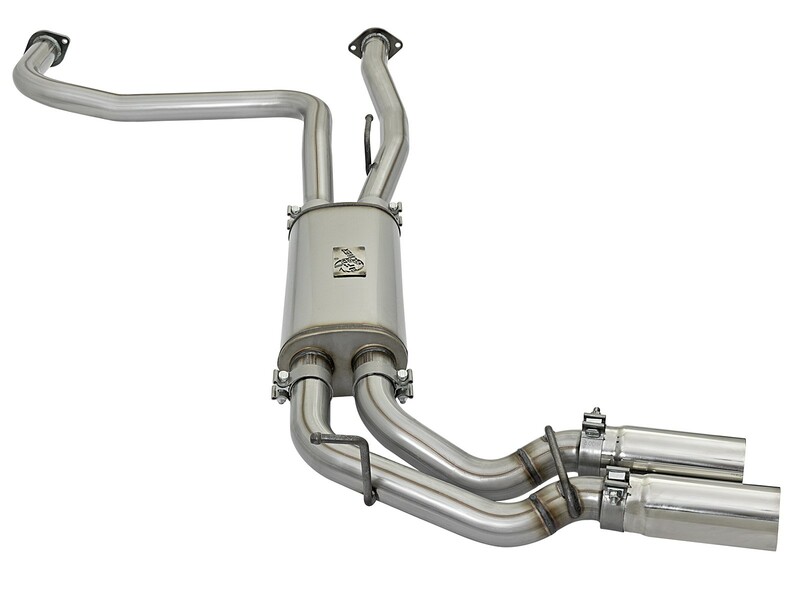 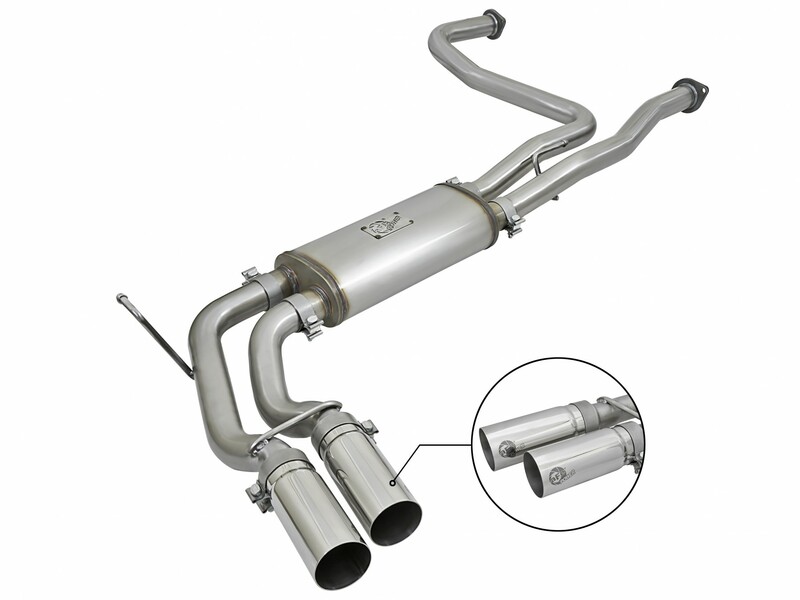 aFe POWER introduces an all new Rebel Series dual middle-side exit exhaust system for the 2004-2015 Nissan Titan with V8-5.6L engine. 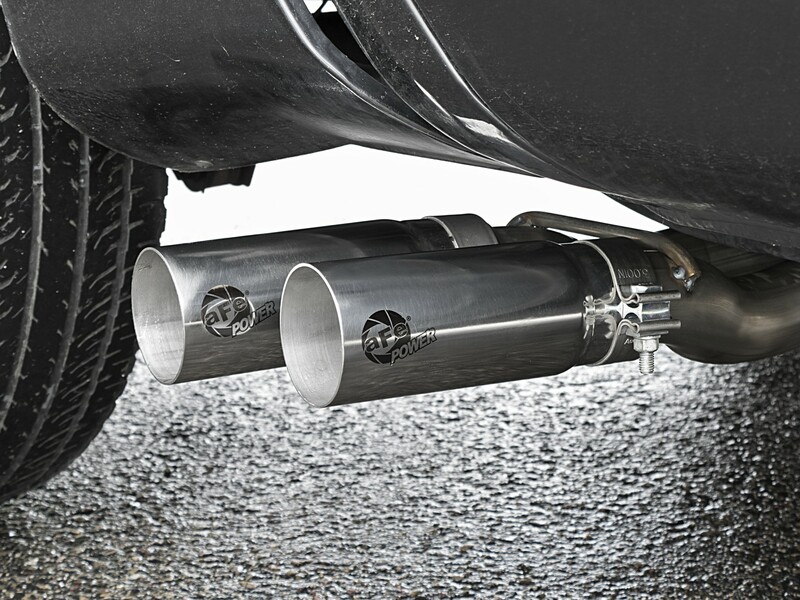 This Rebel Series cat-back is designed with dual black exhaust tips that exit in front of the rear passenger tire for a unique, aggressive look. 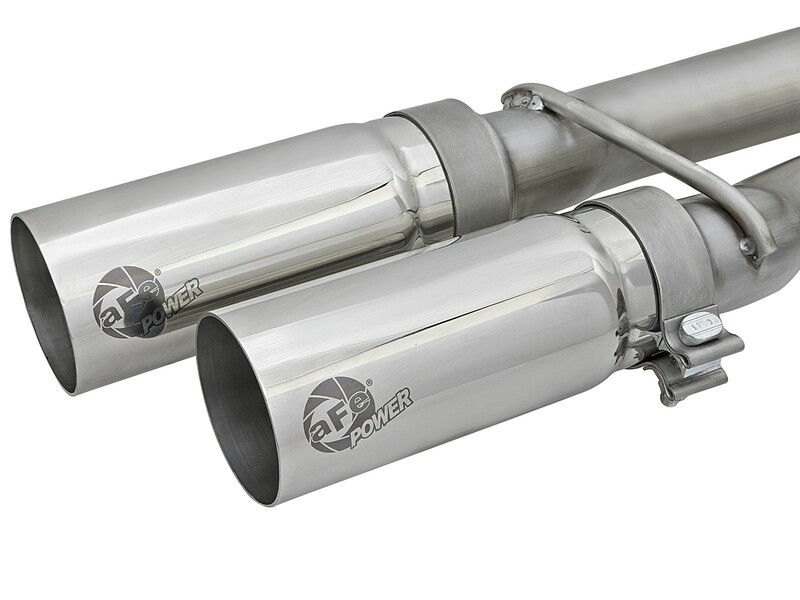 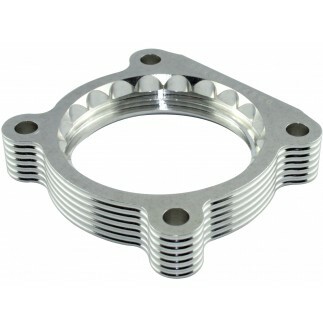 The tips come with unique laser-etched aFe Power logos on the side and are constructed from stainless steel for durability. 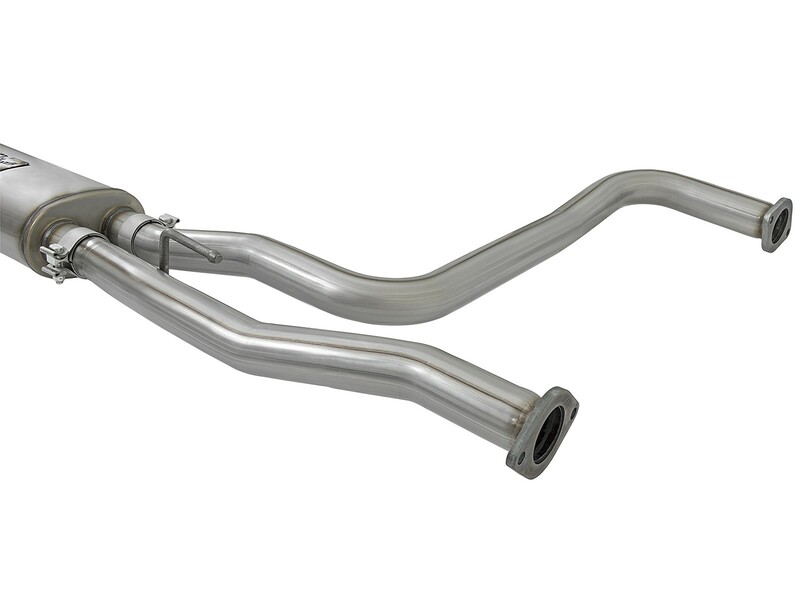 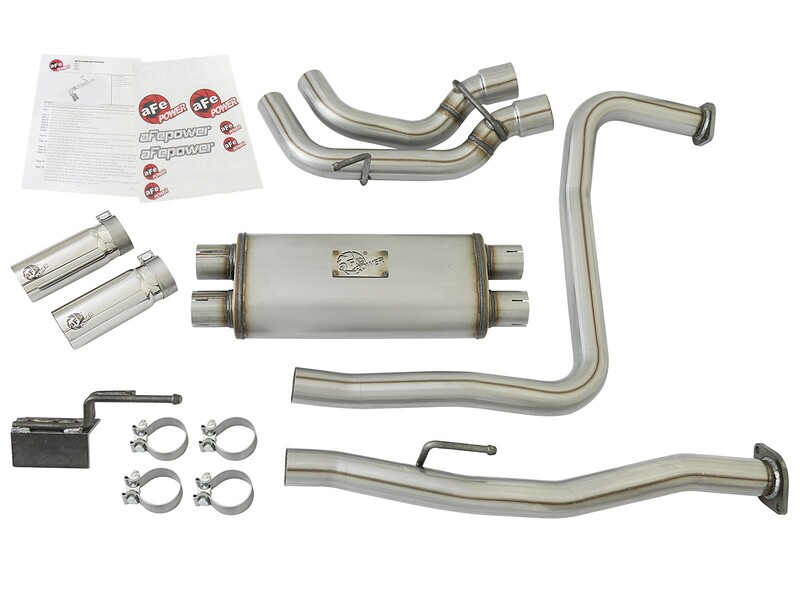 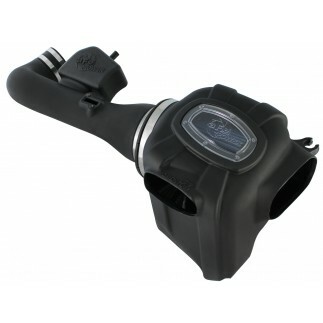 The exhaust system is constructed from 2-1/2" MIG-welded, mandrel bent stainless steel tubing for maximum flow, increased horsepower and torque. 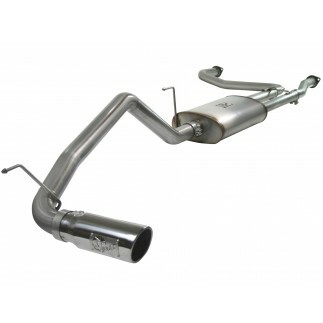 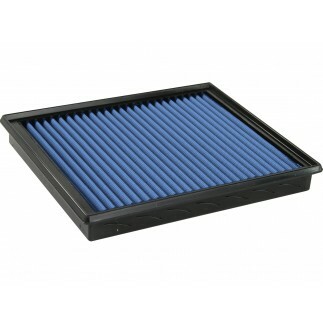 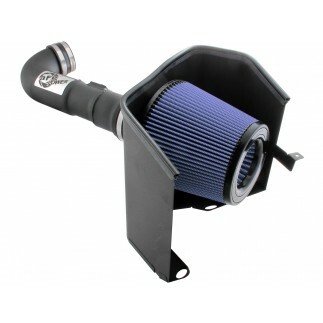 This kit uses a free-flowing muffler to absorb high pitch tones producing a powerful sound. 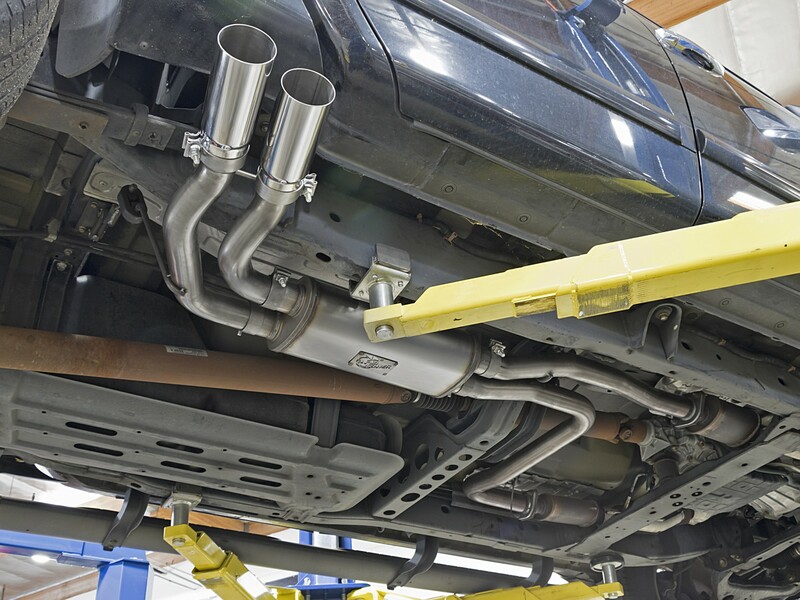 The performance cat-back exhaust system includes necessary hardware and clamps for a hassle-free install, with no cutting required making it a true bolt on system.